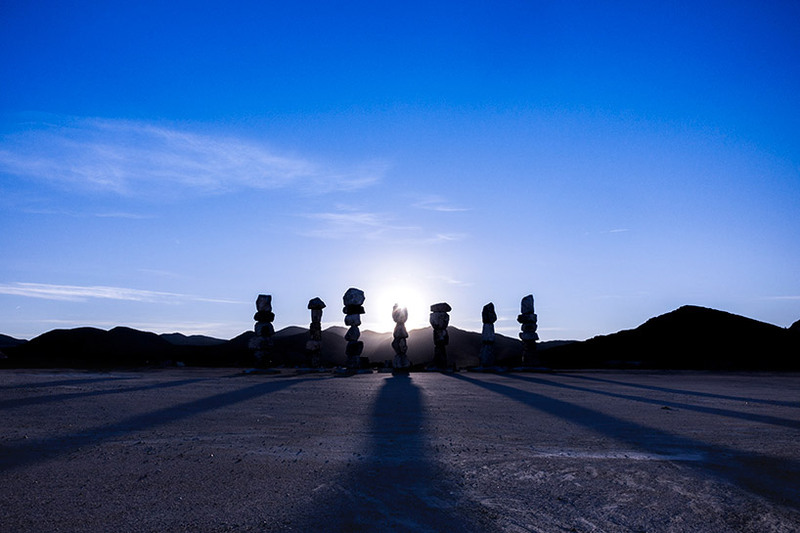 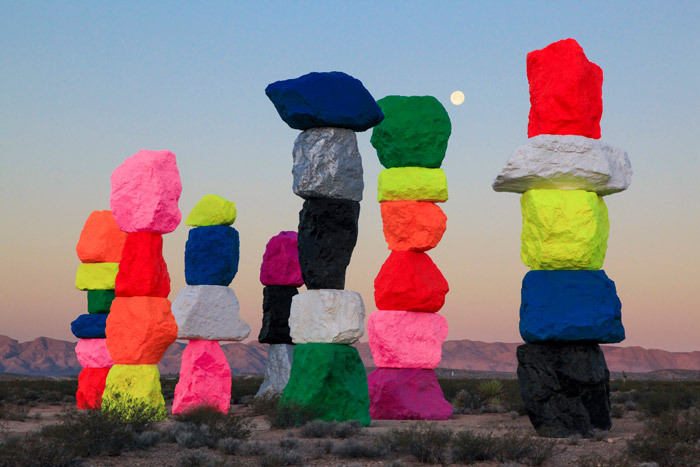 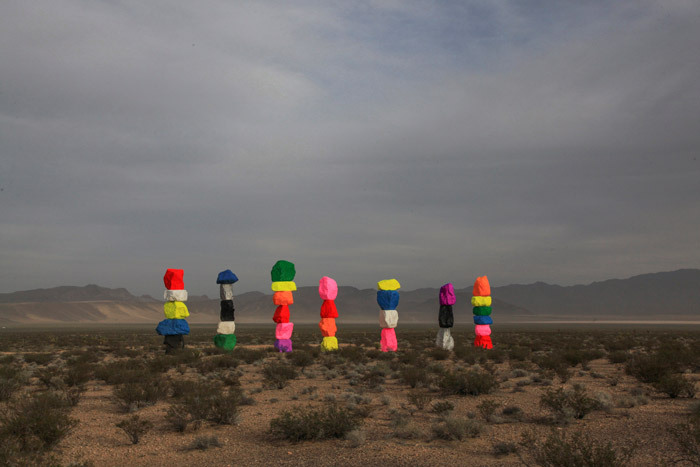 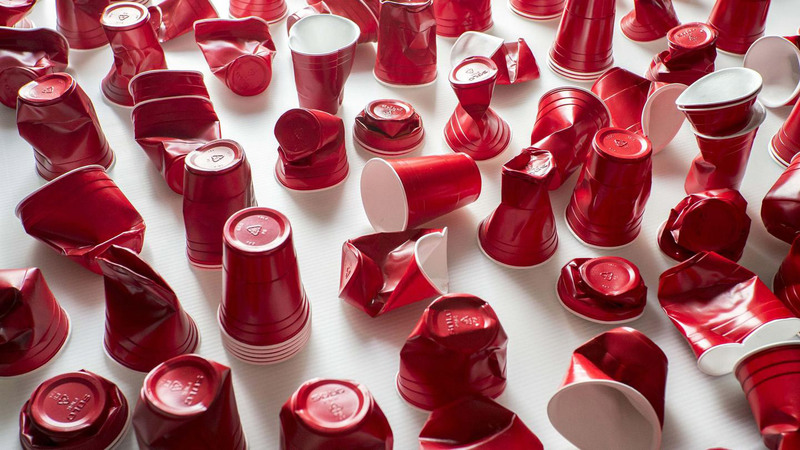 “Seven Magic Mountains” is a massive installation by Swiss artist Ugo Rondinone. 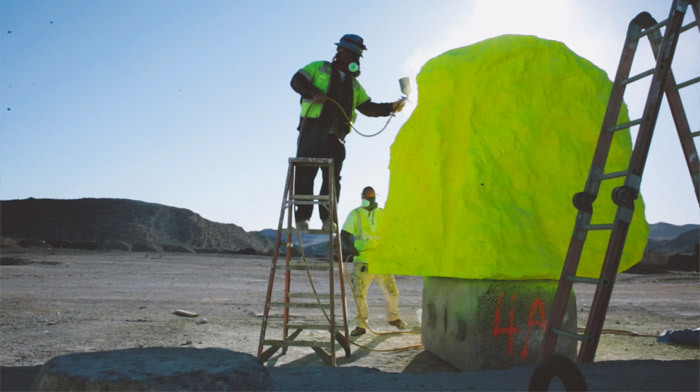 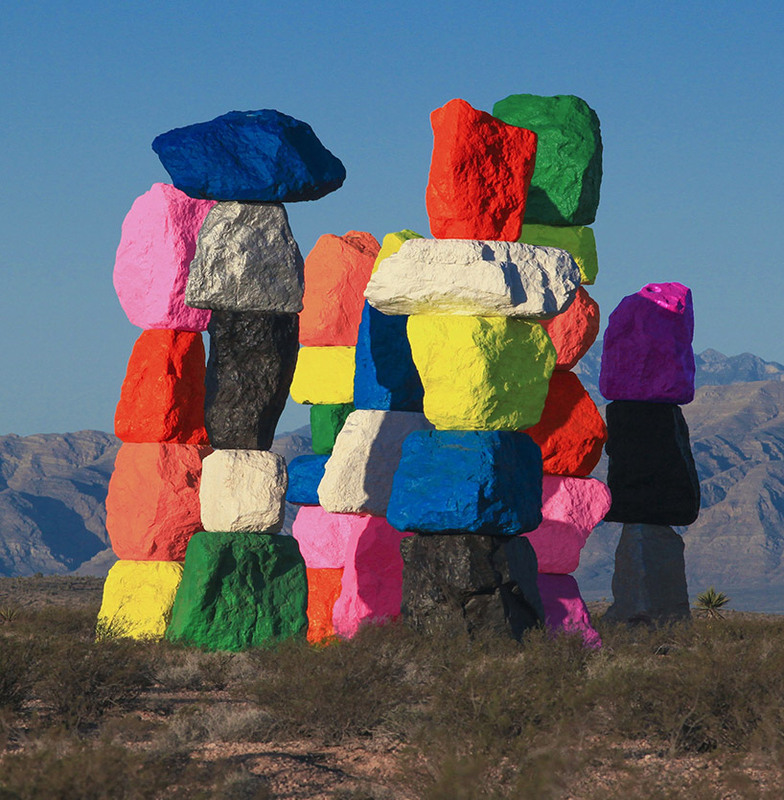 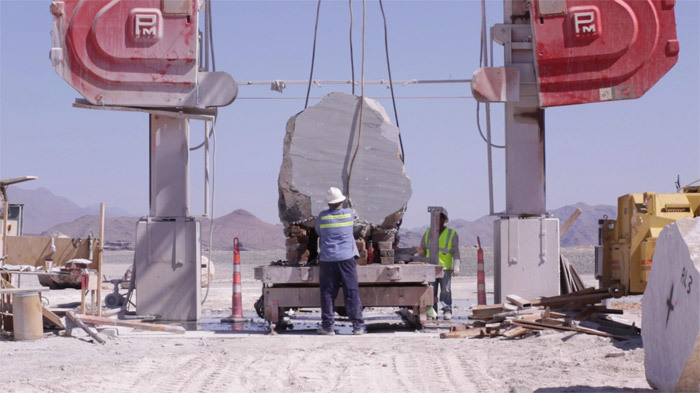 Located in the desert of Nevada (just South of Las Vegas), the stacks of brightly coloured boulders stand over 30 feet high and took five years to complete due in large part to the administrative hurdles required for such a large-scale project. 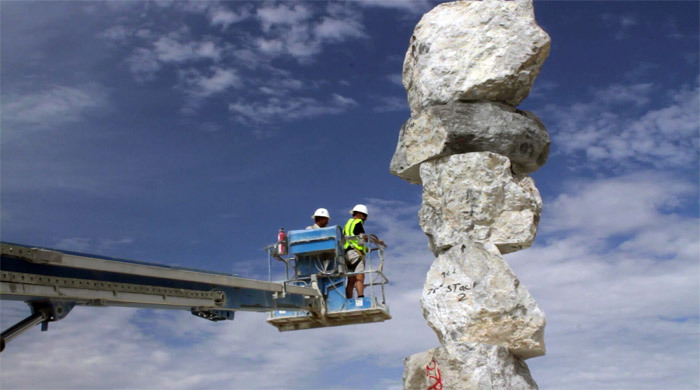 Thanks to the support of the Nevada Museum of Art and the Art Production Fund, the piece is now open to the public. 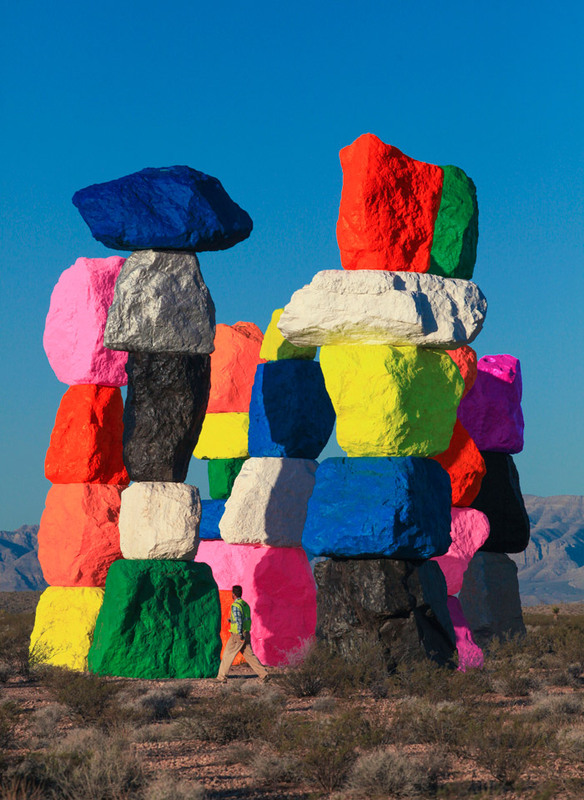 However, you only have about two years to check this thing out before it’s taken down in 2018. 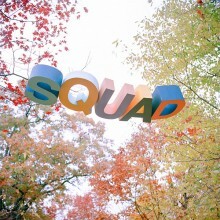 See more images below!